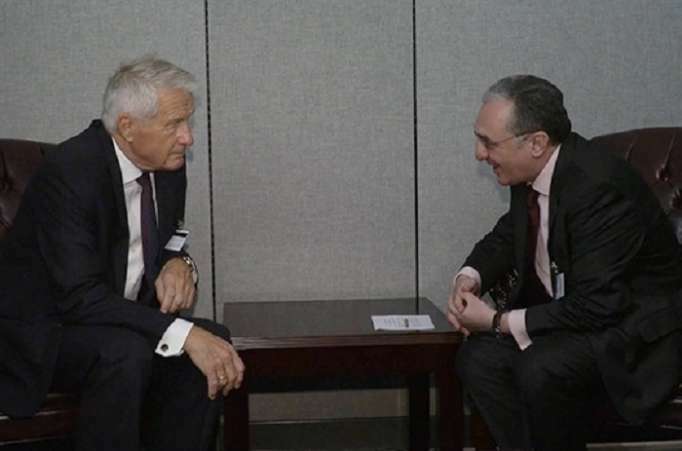 Armenian FM Zohrab Mnatsakanyan met with Secretary General Thorbjørn Jagland of the Council of Europe (CoE), on the sidelines of the 73rd Session of the UN General Assembly in New York, AzVision.az reports citing the Armenian media. The sides discussed the relations between the CoE and Armenia as well as the settlement of the Nagorno-Karabakh conflict. Mnatsakanyan presented Jagland Armenia's position in the conflict settlement process. He also highlighted the importance of obeying the ceasefire regime and building a peaceful environment in the region in order to succeed in the negotiation process.